Part of our school's OLWEUS program is preventing cyberbullying. 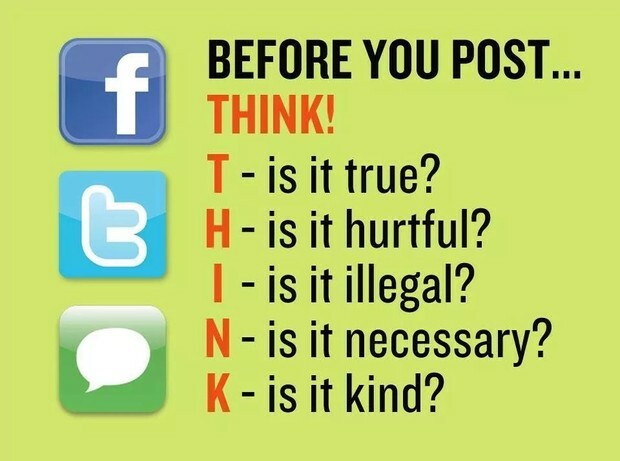 If you have time during your class meetings, this image is very appropriate for teaching digital citizenship to our students. Feel free to print or share! As we wait patiently for our new snazzy cart, please keep in mind that Chromebooks must be put back deliberately and carefully in order to ensure that they remain in good condition. For the most part, this has not been a problem, although I do have to rearrange Chromebooks and cords about 2 times a day. 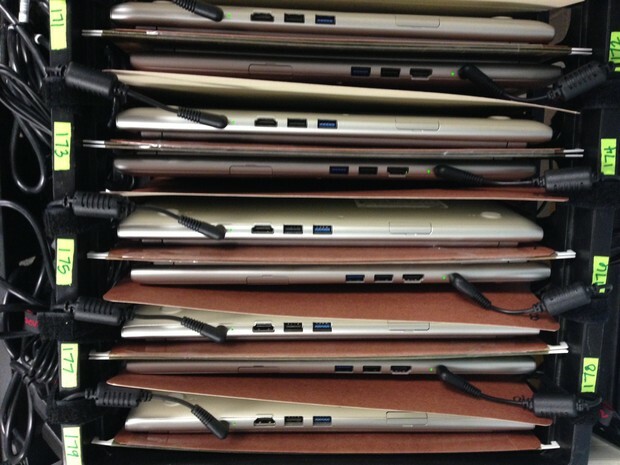 If teachers could take a moment to supervise the return of Chromebooks to the cart I would greatly appreciate it (particularly if they are facing the right direction, put back in the correct location by number, and that there are not 2 Chromebooks in one slot.) I know this seems particular, but I really would like these Chromebooks to remain in excellent condition and a reliable source of technology for our school. Also, when returning the cart to my room, please plug it back into an outlet to ensure that the Chromebooks are charged and ready for the next person. Thank you for your cooperation! For Chromebook Checkout, you may click on the links below. To view the Chromebook calendars in one location, you can click the link below to my LP Staff Technology Integration page. This app is fantastic for use in group activities where you are seeking to keep the noise level in the room at a low level. Once you have reflector installed on your computer, you could easily project the app on your smart board in order to show students their volume level. If the volume level in the room goes above a decibel level set by you, an alarm will sound. There is a lot of customization in this app, so each teacher can set their own guidelines and levels pertaining to quiet work time. The app is free and may be used with either an iPhone, iPod touch or iPad running iOS 7 or later. The two resources below are great for establishing a class site of important bookmarks. This will help you to direct students to important websites much faster, and will allow for students to access important links outside of class through one website. Tizmos is more elementary-geared, while SymbalooEDU is great for both elementary and secondary. Share websites & videos with your class using student-friendly visual bookmarks. 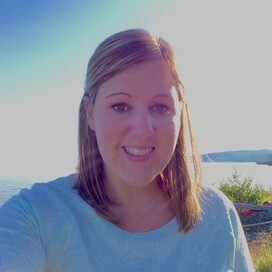 Many teachers use this website for both a "dashboard" and starting point for in-class computer time and well as an outside of class enrichment opportunity. There is a free account option which allows you to add 1 folder and up to 30 bookmarks. There are other paid options for those who wish to add more than this. Symbaloo EDU is a simple start page that allows you to store and share all of your favorite bookmarks and resources visually. Organize websites, Google Docs, videos, lesson plans and anything else you'd like to bookmark and access across devices. Create a free account and store your bookmarks in the cloud. Your resources will be available to you on any internet-connected device. Symbaloo allows users to search public webmixes, so if you have a particular subject or grade level you'd like to explore, simply click here and enter your search query in the box.